30 year old Steven Ray White, of Onalaska, rolled this 1996 Buick Le Sabre near the Polk/Trinity County Line (after allegedly leaving a bar in Trinity County). 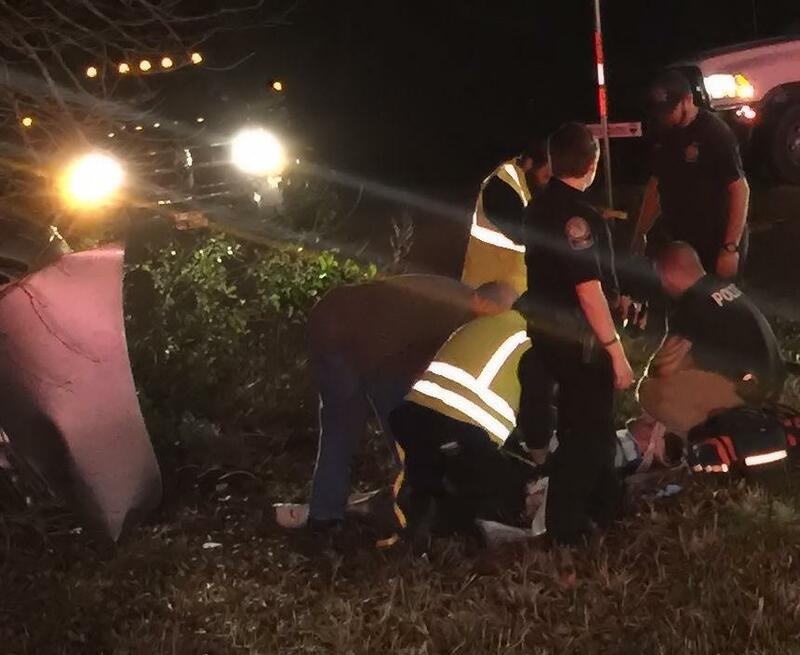 Driver Rolls Vehicle After Allegedly Leaving Bar, ONALASKA, January 13, 2017 - At approximately 9 pm on January 13, 2017, a tan Buick LeSabre driven by Steven Ray White, 30, of Onalaska, was south-bound on FM-356 North. White had allegedly just left a bar in Trinity County. Shortly after crossing into Polk County (from Trinity County), White's vehicle left the pavement to the right, continued through the grass and veered into a patch of trees. White's vehicle turned over onto its driver's side and spun around facing north. Americare Ambulance Service was dispatched to the scene along with the Onalaska Volunteer Fire Department, Officer Jeremy Watts (from Trinity) and Jade Harvard (Onalaska PD), and Troopers Zach Lenderman and Kyle Daniel with the Texas Highway Patrol. Officers Watts and Harvard were the first two first responders on the scene. White was trapped in his vehicle. Officer Watts broke out the back windshield and pulled White from his vehicle. White was loaded into an ambulance and transported to CHI Livingston Memorial Hospital with undisclosed injuries. Traffic on FM-356 was partially blocked during investigation and cleanup. White could be facing charges. The accident remains under investigation by the Texas Department of Public Safety. First responders work on White. Trooper Zach Lenderman (right) is the accident investigator (also pictured is Trooper Kyle Daniel). Officer Jeremy Watts (left facing camera) is the first responder who pulled white from his vehicle. White's vehicle was recovered by George White & Sons Wrecker Service.